I have never really had any experience sailing or boating in general, so a few months before purchasing the boat I attended a week long course at Humber College on basic keelboat sailing. I don’t really have any experience in carpentry, or construction so all of the projects I am doing to repair the boat are just figured out along the way and by researching on the net. It really isn’t that hard to live on a boat if you are willing to put all your “stuff” into storage. The live aboard community is great, and I prefer this lifestyle over a sedated suburban lifestyle. That said, it isn’t for everyone, but it suits me just fine. The boat itself is pretty good. It has a few problems that really lowered the price but with some work I think I can bring everything back to top notch shape. 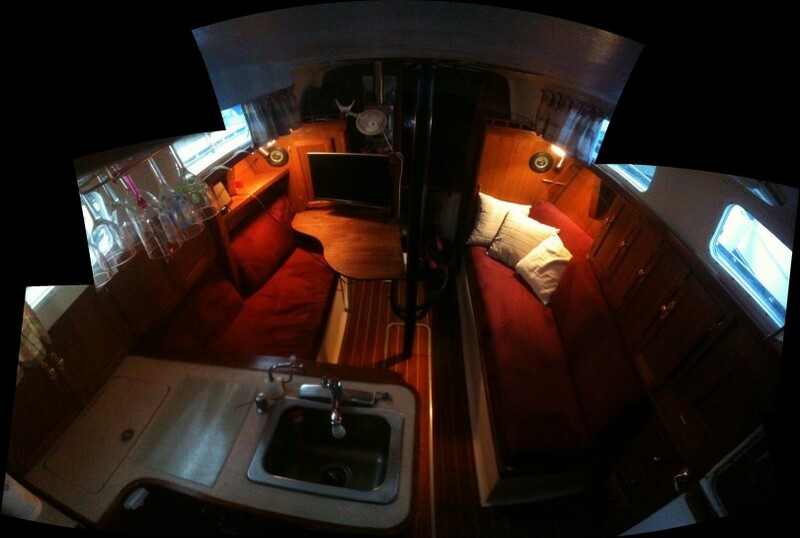 After living on this boat for the last year I am glad to have worked in repairing/improving all of those issues. There are many more projects for me to do in due time but I am quite happy with how far I have gotten thus far. I bought my sailboat in August 2008. 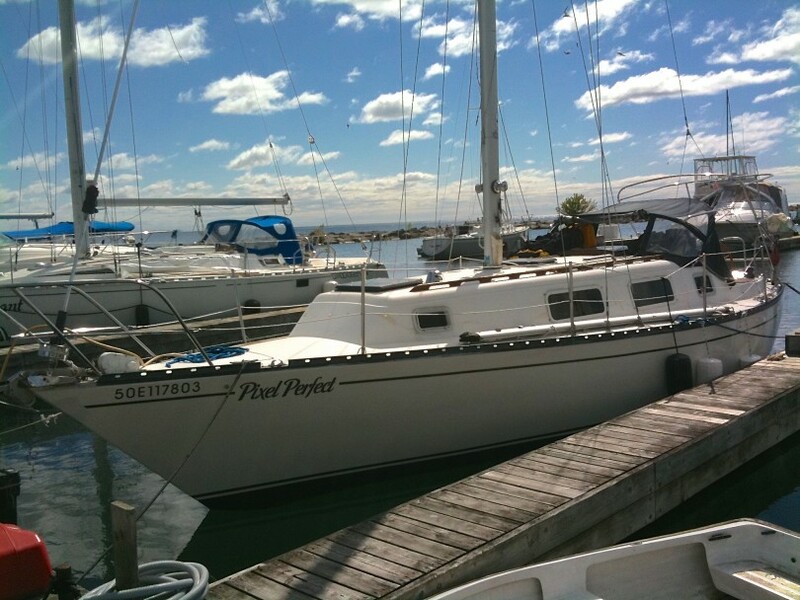 It is a 33 foot 1978 Hunter sailboat. I moved onto the boat and have been living on it with my cat Jangles ever since.